Finally, my herb garden has not only taken off, but it is getting out of control! My dill has started to go to seed and my other herbs need some serious love! Luckily, this past weekend the kids and Paul were playing in the front yard and I snuck out back and started pruning. I never thought I would say it, but it was so therapeutic to be outside picking and pruning. Usually, I just love the reap the benefits of the harvest but I think I'm turning a new leaf ... and hopefully my thumb is getting greener! 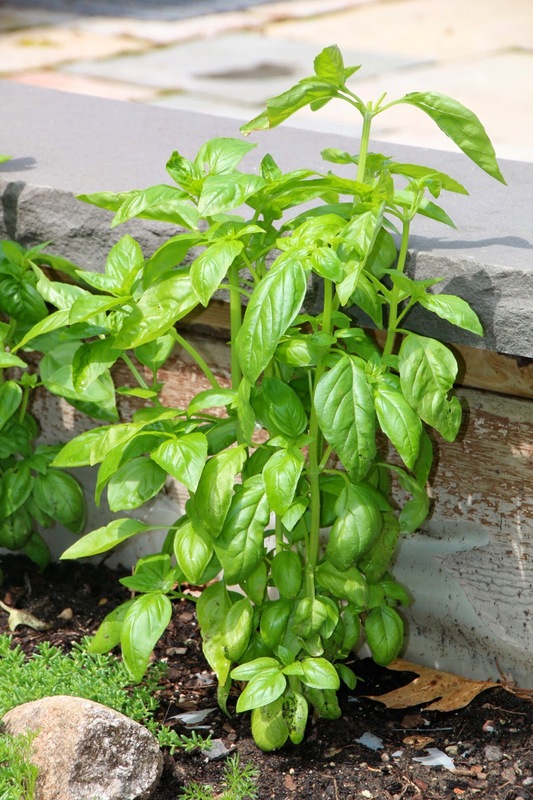 Basil plants are a plant that definitely needs love. Once it goes to seed, it will stop producing and growing so you need to trim your plants. Some people have told me that they always have too much basil and they can't give it away fast enough. First of all, call me and I will come pick it up! Secondly, you need to capitalize on your fresh garden when you can. Pesto is the perfect way to do that. Once my plant starts going, I will make a batch of pesto every week or two. I fill up my ice cube trays and freeze it. Then, I just pop the cubes in a freezer bag and I have perfect 1 oz portions whenever I need them. Last year I had two plants that made enough pesto to last through the winter. 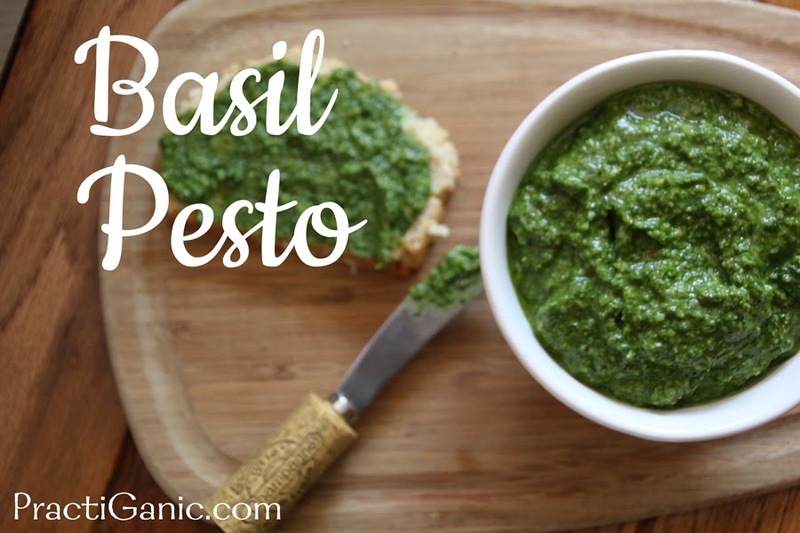 Traditionally, pesto is made with pine nuts and I do love the flavor of it. However, pine nuts are simply too expensive, so I use walnuts. I have never done a side-by-side taste test because there's no need. The walnuts are a great substitute for flavor and for the pocketbook! *to make vegan use 1 1/4 c roasted cashews in place of walnuts and parmesan cheese. Put all ingredients into a food processor. Enjoy! Pesto will turn colors so either use it pretty soon or put plastic directly on the pesto but then still put a lid on it until you are going to use it. One of my three basil plants, just cut down for pesto! I should've done a before and after!